GREENWICH — Becky McDaid didn’t feel as though she played her best golf during the final round of the Lincoln Women’s Met Open Championship Tuesday, but as champions do, she found a way to claim the winner’s trophy. There were indeed, plenty more positive moments than struggles for McDaid, who won the Met PGA Lincoln Women’s Met Open Championship for the second consecutive year by shooting a 1-over-par 145 over two rounds at Burning Tree Country Club. 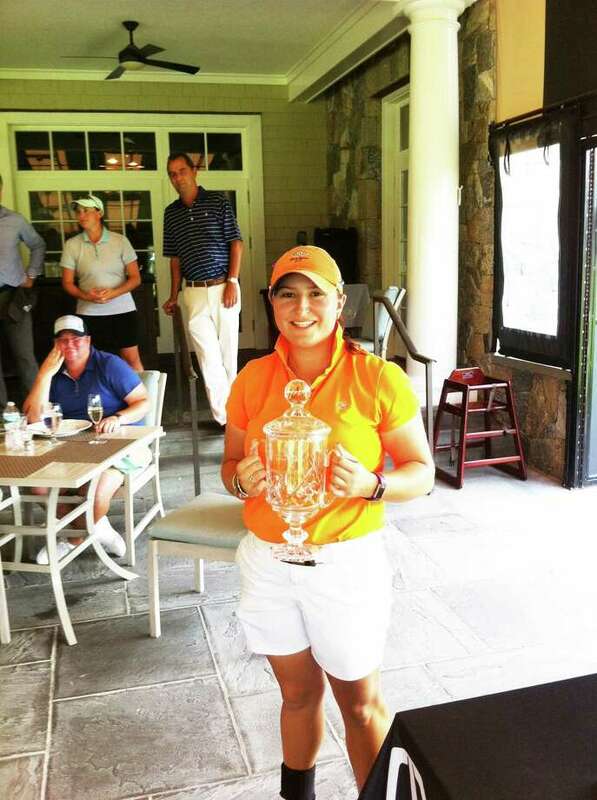 Alexis Hios, a Rye, N.Y., resident playing out of Westchester Country Club, was the runner-up and earned low amateur honors, carding a 3-over-par 147 (76-71). Harin Lee (Bethpage State Park Golf Course) placed third at 5-over 149 (81-68), while Jessica Carafiello of Innis Arden Golf Club finished fourth with a 6-over 150 (75-75). Carafiello tied Alicia Dibos of Winged Foot Golf Club, who led heading into Tuesday’s second round after posting a 2-under 70 on Monday. The victory gave McDaid her fourth Lincoln Met’s Women’s Championship title overall. She won the tournament in 2010, 2012 and 2016. Her round Tuesday included four birdies, eight pars and six bogeys. McDaid birdied the par-5 7th hole and the par-4 ninth hole on the front nine and the par-4 13th hole and par-4 16th hole on the back. For the tournament, McDaid registered eight birdies and parred 19 holes. Loretta Giovannettone of Woodway Country Club finished in a three-way tie for sixth place with Sara Dickson (Quaker Ridge Golf Club) and Taylor Miano (Metropolis Country Club) at 8-over 152. Greenwich resident Catherine McEvoy (Innis Arden) and Michelle Dobek (Fairview Country Club) tied for ninth place in the 42-player event with a 10-over-par 154. Hios, a rising senior at Towson University, where she stars on the women’s golf team, concluded her final round by rolling in a par putt from more than 20 feet on the 18th green. Hios was especially consistent in the final round, parring 13 holes and recording three birdies. Carafiello, who captured the Women’s Met Open title in 2014, made three birdies on the back nine in the final round. Giovannettone began the final round just one shot behind first-round leader Dibos, following a round of 71. McEvoy, who was a standout on the Greenwich High girls golf team, before taking her skills to Michigan State, birdied two holes on the front nine. She had the third lowest amateur score.